Day 138: We slept in then J-Rex made us pancakes, eggs and bacon for breakfast! Coffee and orange juice too! We packed up and Andrew drove us back to the trail. We started hiking around 10AM. We had some pretty normal hiking. The end of the day was nice. 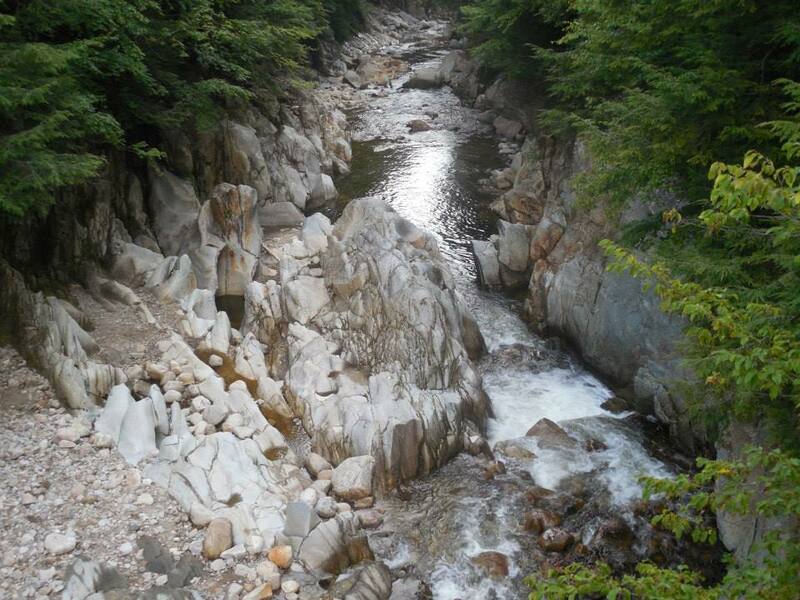 We got two beautiful views and crossed a pretty gorge. Afterwards we had to climb up some rock scrambles at the end of the day. Then it was down to the shelter. We made it there just before dark. We did our chores then crawled into bed. The shelter was crawling with mice. We hung our food, so hopefully it survives the night. Glad to have our warm gear back! 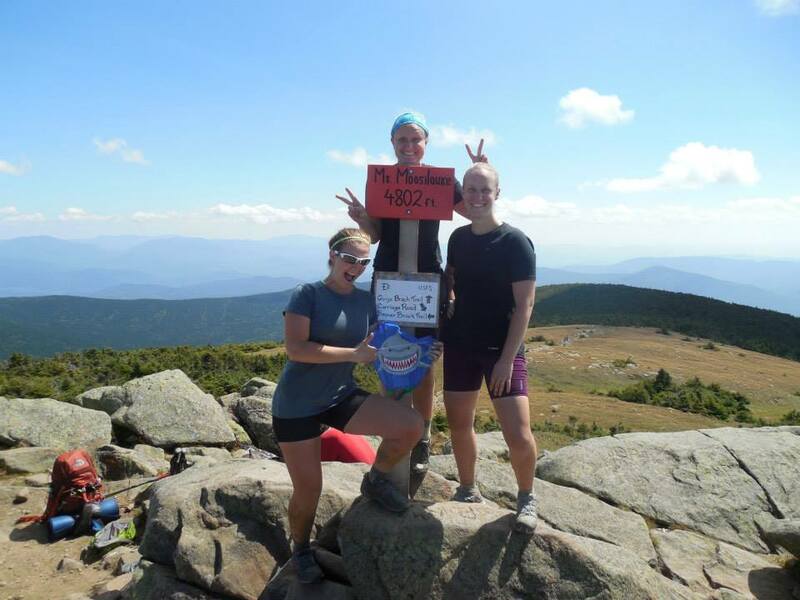 Day 139: We hiked Killington today. It was mostly a nice and gradual climb, but there were a few steep sections. It was a mostly sunny day, great for hiking, but still a bit chilly at the top. This is the first 4000 footer we’ve been on since Virginia! We took a side trail to the top and the view was awesome. Then it was about 7 miles to go to Rutland. J-Rex had a connection there. Cory picked us up at the trailhead and brought us to the Woodbox. We settled in and took showers. Max’s mother Tony and the cabin owner Helen came up and the three of them cooked us a huge dinner! There was a puppy there full of energy and super cute. Sleeping in a comfy bed tonight! Day 140: This morning Tony and Helen made us breakfast and Tony drove us to the store to resupply. Then they dropped us at the trailhead. It was a sunny day and it finally warmed up to August temperatures. We had a few climbs. Stealth camping tonight. I nailed a difficult bear hang. Day 141: I woke up to owls hunting and toads jumping all around our tent last night. I didn’t sleep as well as I’d hoped. It was a groggy morning and we were all zombies until the first break. We went up to the Lookout, which is on private land, but open to hikers. 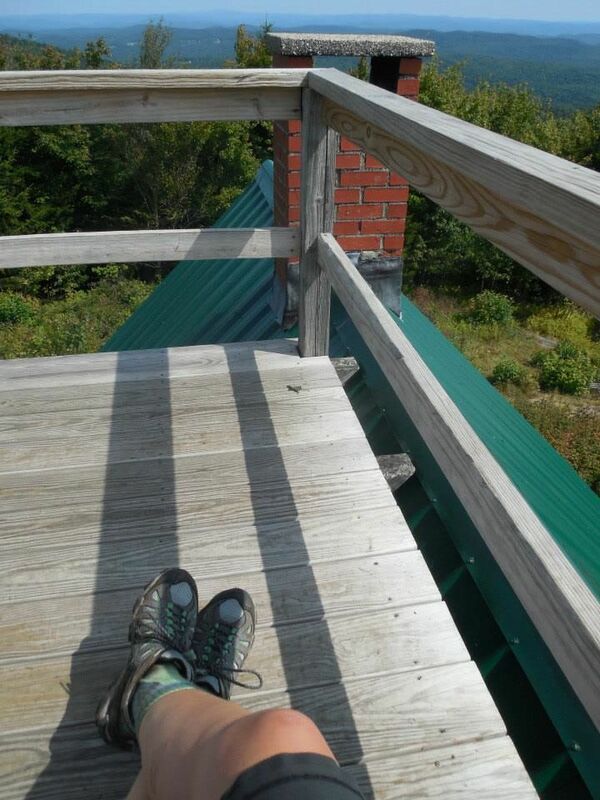 It is a cabin and there was a viewing platform on the roof that you could climb up to on a ladder. We hung out there for a while enjoying the views and drinking coffee. Then we hiked to the next shelter for lunch and Voodoo appeared! The four of us hiked down to On The Edge Farm, which had all sorts of food and drinks. I enjoyed some soda and ice cream, then Hob bought a whole pie and shared with us! After a long break there, we hit the trail for three more miles. It was almost dark when we invaded Paperweight’s camping spot, but he didn’t seem to mind. We quickly did all our chores, then climbed into bed. Day 142: I slept pretty well last night. Had a steep climb to start the morning. We hiked a little further to our first break so we could take it in a shelter since it was sprinkling off and on. After break J-Rex and Voodoo pushed on to get to town. We hiked through rolling hills with some gorgeous views. 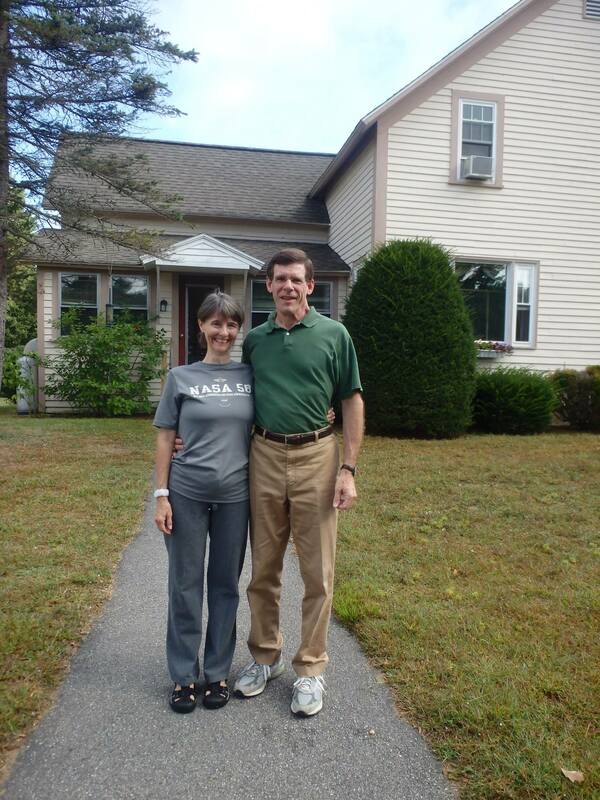 When we got to West Hartford, a lady waved us over to her house and cooked us breakfast! We also had soda! We chatted with her for a while, then went four miles to the Happy Hill Shelter. We got in as it started to rain again. We cooked dinner then decided to set the tent up inside the shelter as it started raining harder. It at 5PM so I’ll have time to read for the first time in a long time. Day 143: It dumped rain last night and it was still raining when we got up. 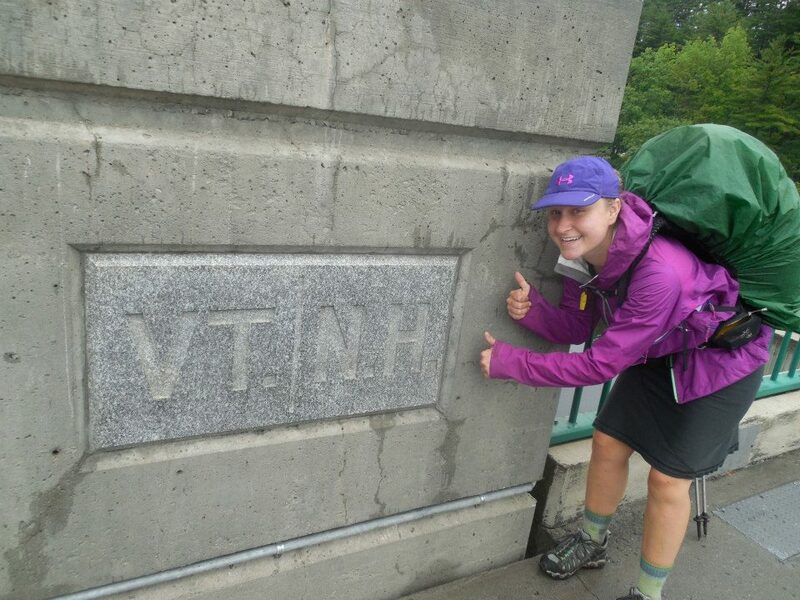 It was still sprinkling for our quick 6 mile hike into Hanover, NH. We made it to New Hampshire! We got some sandwiches in town, then did shower/laundry/resupply. We got a free slice of pizza at Ramuto’s! It was brick oven and so good. It poured while we repackaged our food in the entrance of the Co-Op. It let up a bit before we had to head out, but we did hike in some rain. Another 6 miles to a stream that we camped by. We finished our chores quickly and snuggled into bed for the night. Day 144: It was a foggy morning, but cleared to a pleasant partly cloudy day. We had two climbs today and they both had nice viewpoints. Some of the trees in the valley have started to turn a burgundy red. Very pretty! 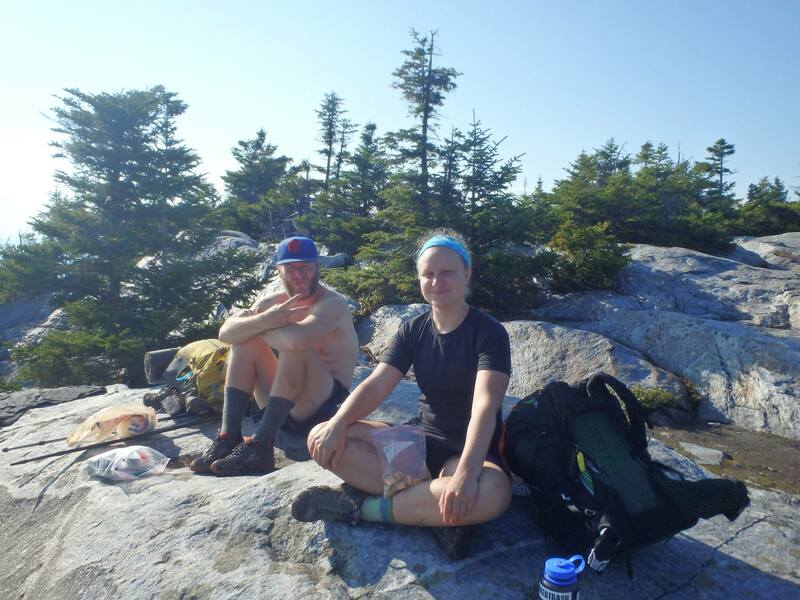 We got trail magic in between the two mountains in the form of hotdogs and soda! Stealth camping again by a small stream. Into camp at a decent hour! Day 145: There was a critter in camp that kept us up last night, but it didn’t bother us. I was still pretty sleepy when we got up. The morning was foggy and the dew lit up hundreds of spider webs along the trail. It was very neat to see the different types of webs. We started climbing almost immediately. Lambert’s Ridge was awesome and there was still morning for down below us. The rest of the climb up Smarts Mt. was steep and a lot of it was still wet. I was very hungry by the time we reached the top. We couldn’t get up the fire tower, so we didn’t even get a view! The climb down was more gradual but wet and muddy. 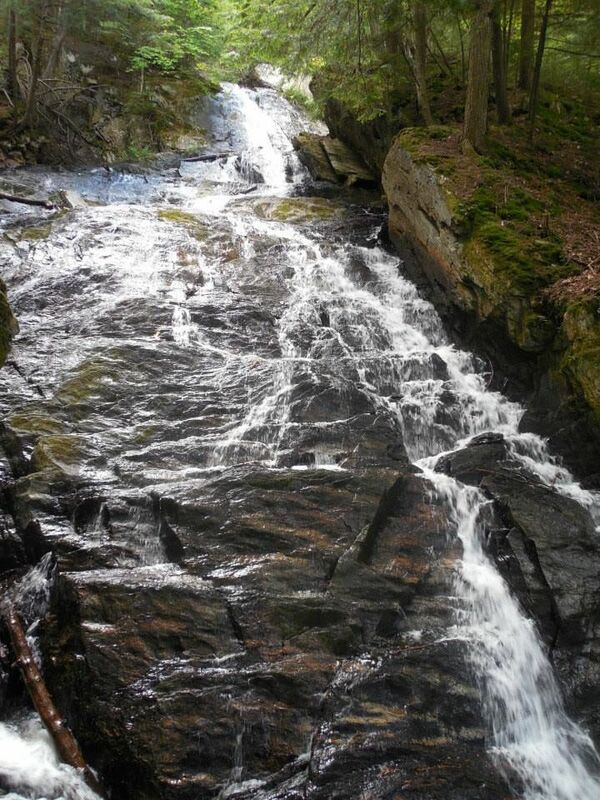 We had lunch when we got to the bottom at South Jacobs Brook. The sun felt nice. Then we climbed Mt. Cube, which was an easier climb but still took a while. 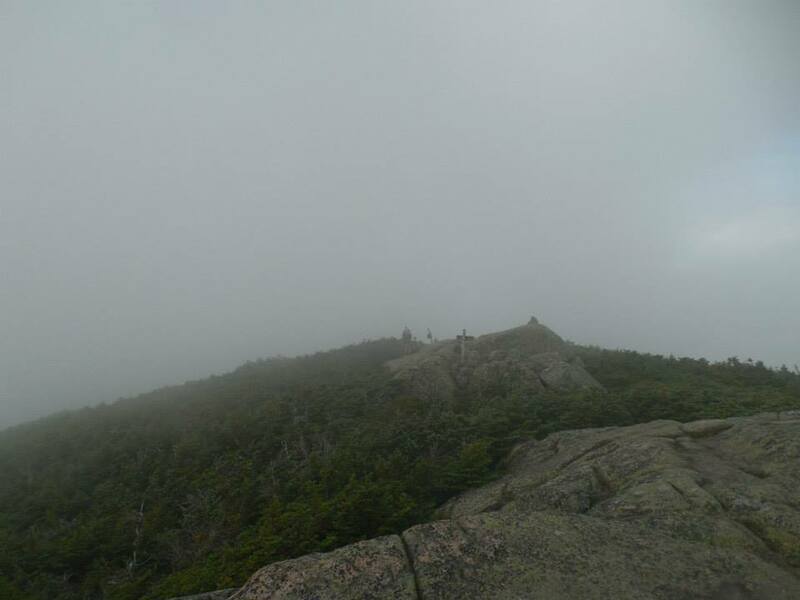 We had a break at the top with views and talked with a SOBO hiker named Hercules. Then we climbed down and are camping next to an old basement foundation. Chores went quick, but it get dark so early! Day 146: A short 11.3 miles today to rest before the Whites. The terrain was pretty easy. We got to Ore Hill Campground for the first break. 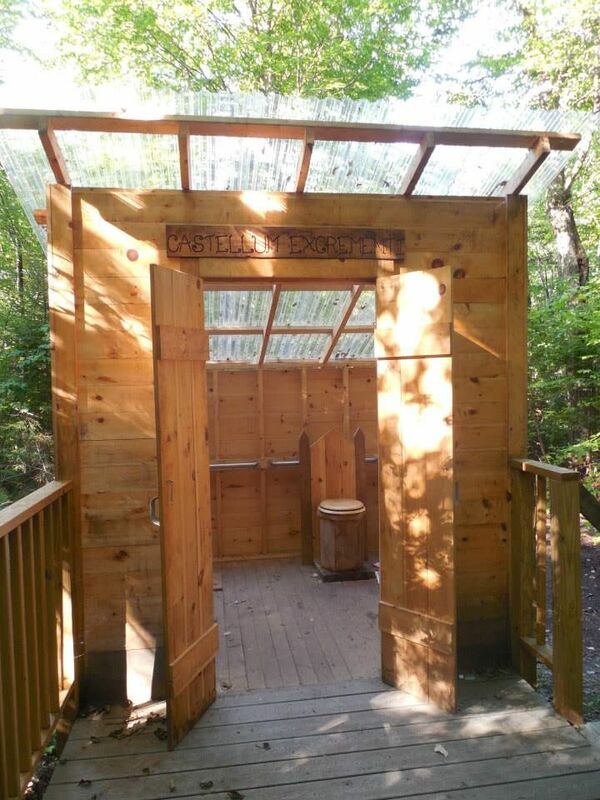 The privy was hilarious. The bottom cage was labelled ‘Dungeon’ and the front double doors we labelled ‘Castle’ and the seat was a throne! Too funny. We had lunch at a viewpoint then stopped at the Hiker’s Welcome Hostel. They brought us to the store for resupply and got dinner at the deli. We hung out there for a few hours charging our stuff and I read from one of their hammocks. Eventually we hit the trail for one more mile to the shelter. We set up and right before we were headed to bed a trail angel showed up with food! Jack “Drummer” brought us ice cream sandwiches, cherries and cookies. We ate while talking until it got dark. We got into bed and as I started writing Pop came over to our tent and told us J-Rex was back at the Hostel! Crazy girl has caught us already. 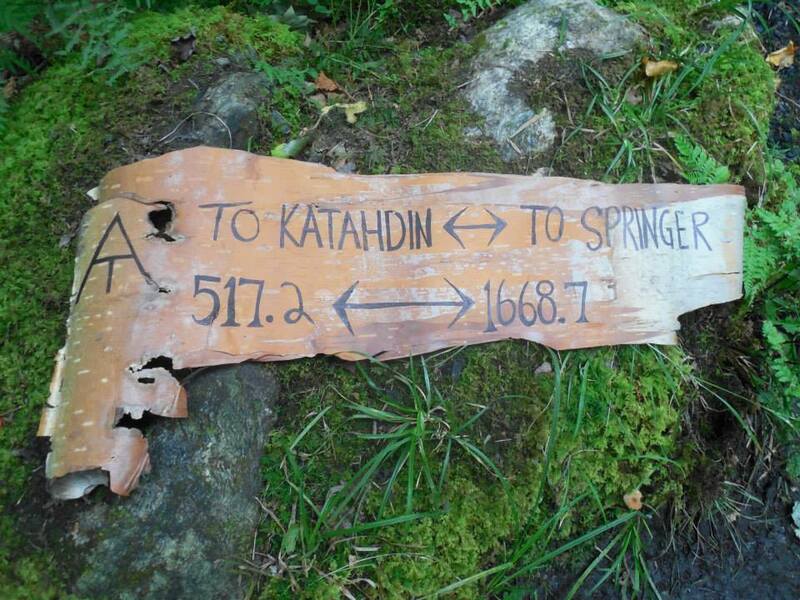 We are now under 400 miles to Katahdin! Day 147: We woke to the sound of a pack of coyotes barking, which lasted over an hour! Don’t know what they were doing. We made oatmeal and coffee-cocoa, then started towards Mt. 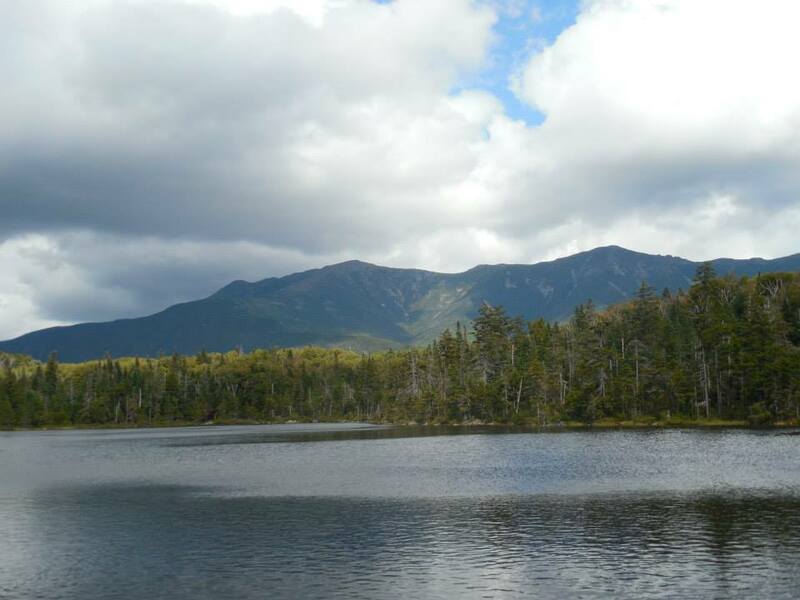 Moosilauke. The climb was pretty gradual until we got closer to the top. 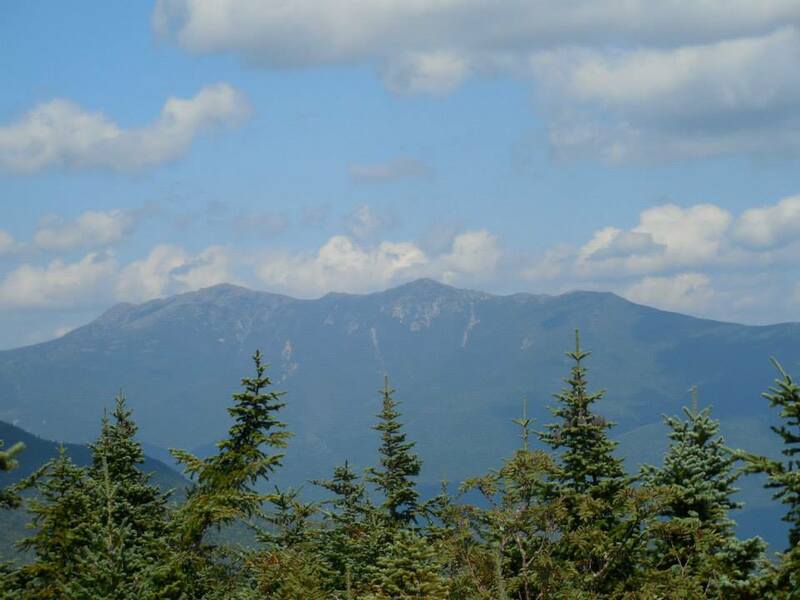 We hit a side trail to South Peak and we could see Moosilauke from it. At that trail intersection we decided to have a snack and J-Rex showed up! The trail mellowed out again after that point. We all hiked to the summit together. We hung out at the top for three hours! A bunch of other thru-hikers showed up and J-Rex flew her kite. I got a pretty good sunburn. We hiked down to the shelter and looked over our plans. We had planned to stay there, but decided it would be better to resupply tonight instead of in a few days. 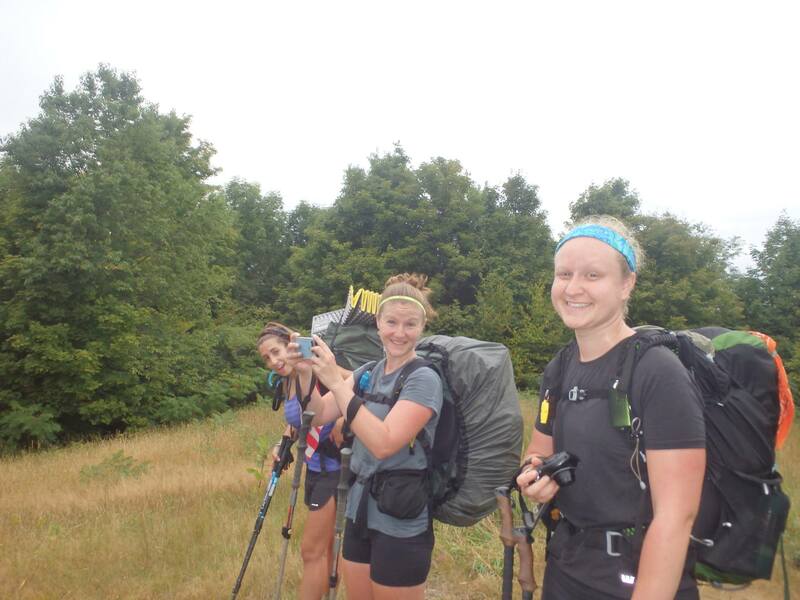 We hiked down the rest of the way from Moosilauke and hitched a ride into Lincoln. We resupplied, then went to Chet’s place. This guy lets hikers stay at his place through word of mouth. His story is heart wrenching. He was getting ready for a thru-hike when an MSR stove blew up, burnt down his house, and gave him 4th degree burns (which means they went down to his bones). He was in a coma for 8 months and 80% of his body was burnt. He is legally blind and can’t hear well. Now he helps hikers so he can be close to the community he wasn’t able to join by hiking. He asks questions to make sure you are a thru-hiker, and is such a sweet man! After setting up our tents in his backyard we went to grab some dinner, then went straight to bed. Day 148: We packed up camp then went to Texas Toast Eatery for breakfast. It was such good food! Then Miss Janet drove us to the trailhead and we climbed out of the gap. It was slow going all day as the trail bumped up and down constantly. We climbed Wolf Mountain which had a small but nice outlook. 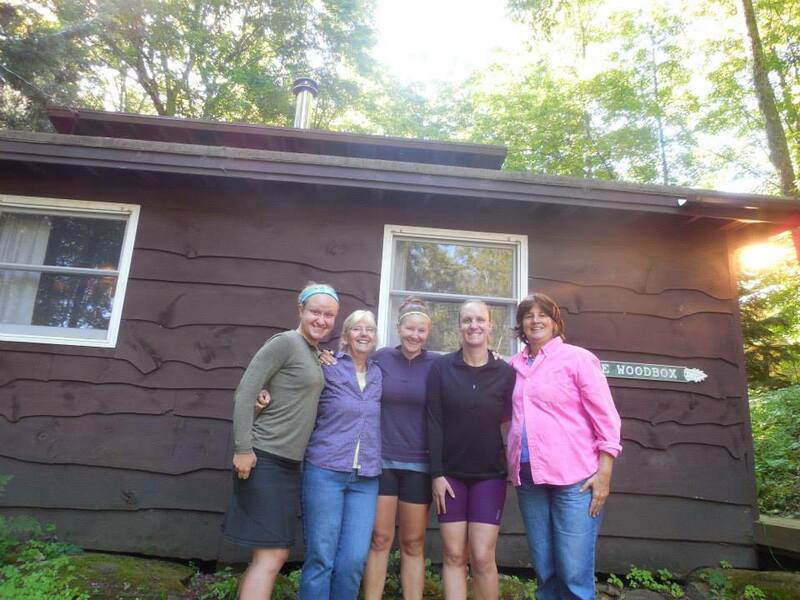 We got to Eliza Brook Shelter around 5 PM and decided it was too late to go to the next one. We hung out and ate then Voodoo showed up! I think I might have some ingrown hairs on my leg. Sleeping in the shelter tonight to try to get out of camp early tomorrow. Day 149: We got up a little earlier to maximize our daylight hours. Voodoo decided to hike with us today. 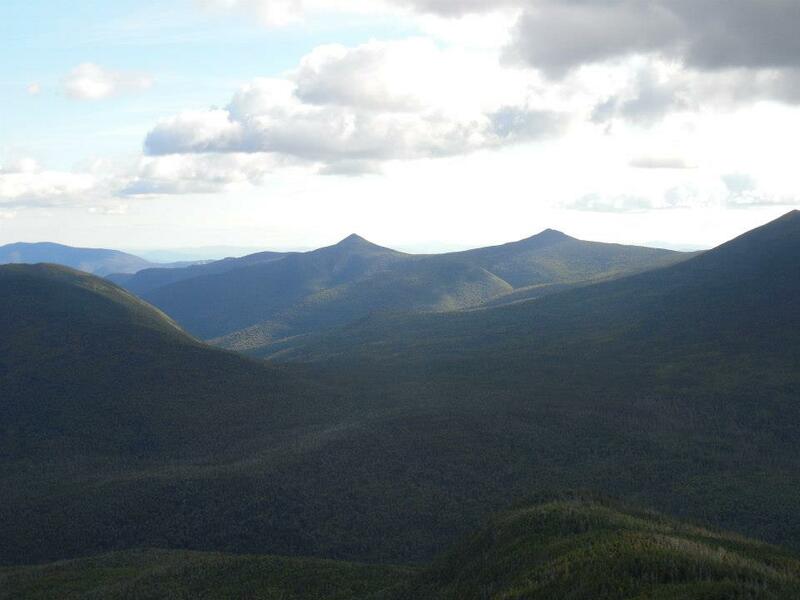 We climbed up South and North Kinsman Mountains. The climb was pretty steep. We climbed down then stopped at the Lonesome Lake Hut for a late lunch. We got some chicken and bean soup for $2! The hut was facing Mt. Lafayette with a lake under. It was beautiful! 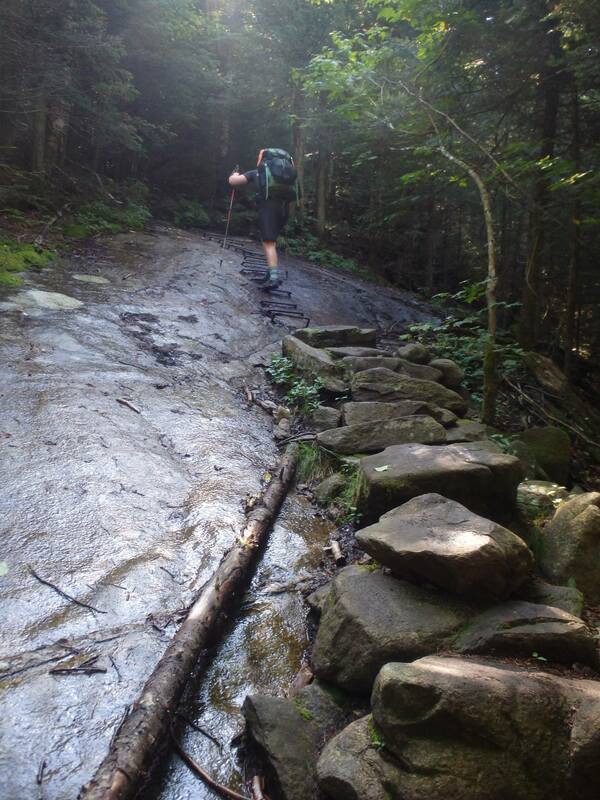 We continued to hike down to Franconia Notch then had a steep climb to Liberty Springs Campground. It was chilly up there we were very tired. We checked in and paid the caretaker, then went to rig up our tents on the platform. After we cooked dinner and it was already getting dark. We went straight to bed afterwards and I used all my layers as it was in the low 30’s F.
Day 150: We got up late because it was so cold out. We cooked breakfast then hiked the rest of the way up Liberty. We had to take a side trail to bag the peak, so we did. It was beautiful! 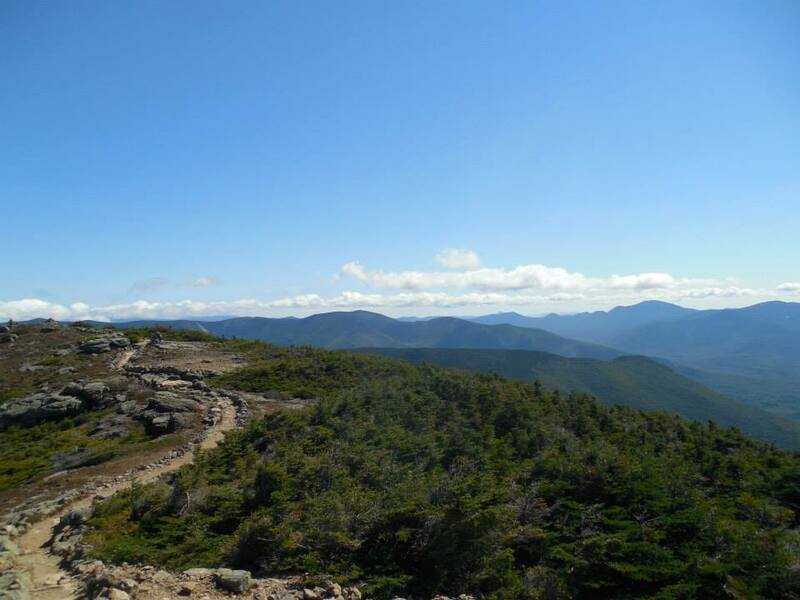 Then we hiked Little Haystack and started the Franconia Ridge. We hiked over Lincoln, then Lafayette and stopped there for lunch. The views were the best we’ve had. We hiked down trail for some water then continued on to Garfield. We had to climb down off the ridge, then back up to the summit. When we got up there we took a break. There were gliders flying around and Voodoo flashed them, causing one to almost crash into the summit! We hiked on to Galehead Hut and begged them to let us stay. We didn’t get work for stay, but they let us sleep in the dining room. We were given hot water and had to stay up until lights our at 9:30 PM. The stars were very bright. Day 151: We got out of the hut and onto the trail at 6:30 AM. We flew up South Twin’s very steep trail. We hiked down then up Mt. Guyot. It was a very chilly morning. The trail chilled out a bit as we climbed down to Zealand Falls Hut. We stopped there for lunch and got some soup. The sun came out and we hiked along a very smooth path. Then it was one more decent to Crawford Notch. J-Rex’s father picked us up in the parking lot and he had food for us! We drove to their home and had a snack and shower before bed.